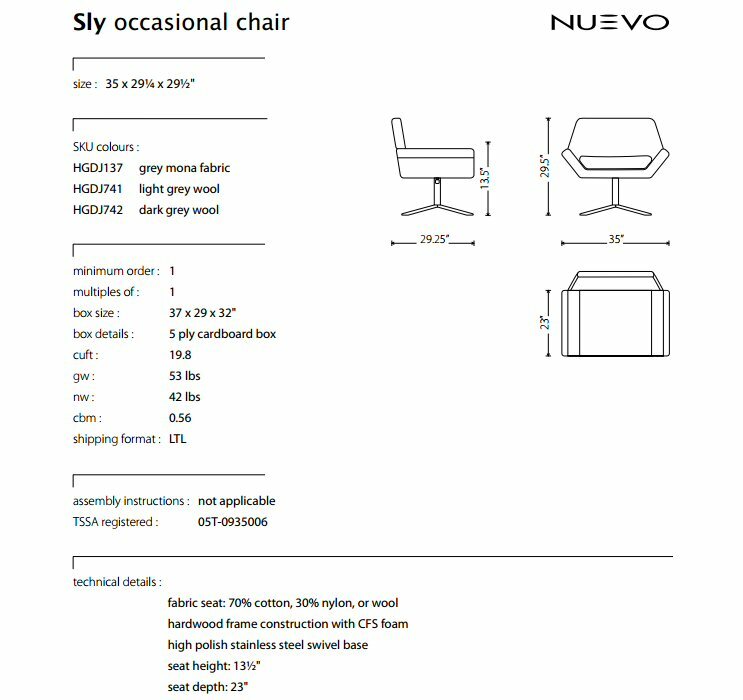 Nuevo Living Sly chair projects a refined architectural modernity. 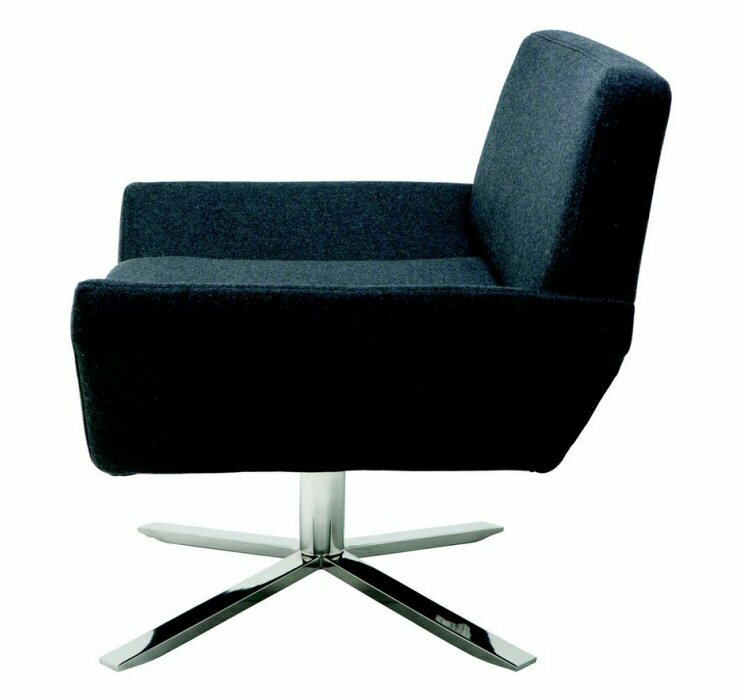 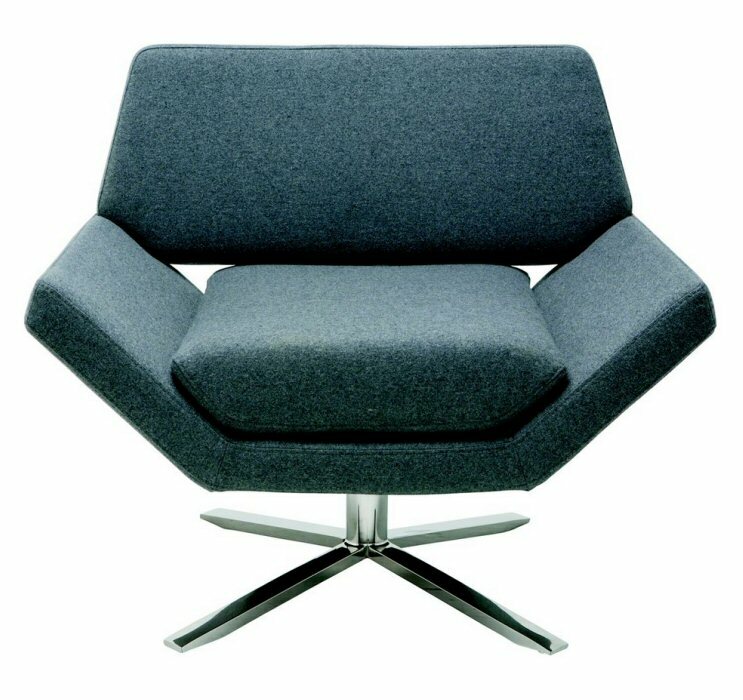 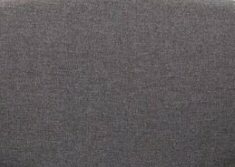 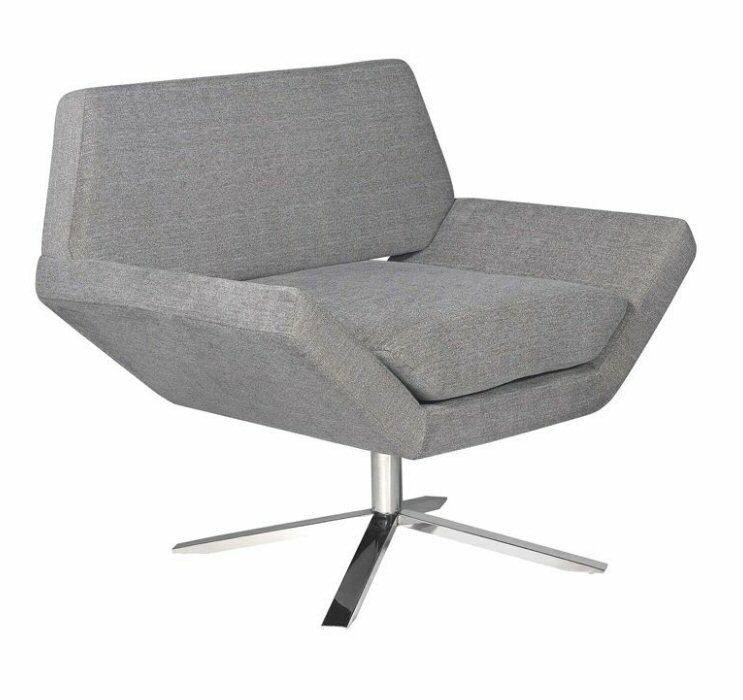 The deep seated fabric design is made for comfort and ease featuring an overstuffed fitted cushion, padded upholstery and a smart stainless steel swivel base. 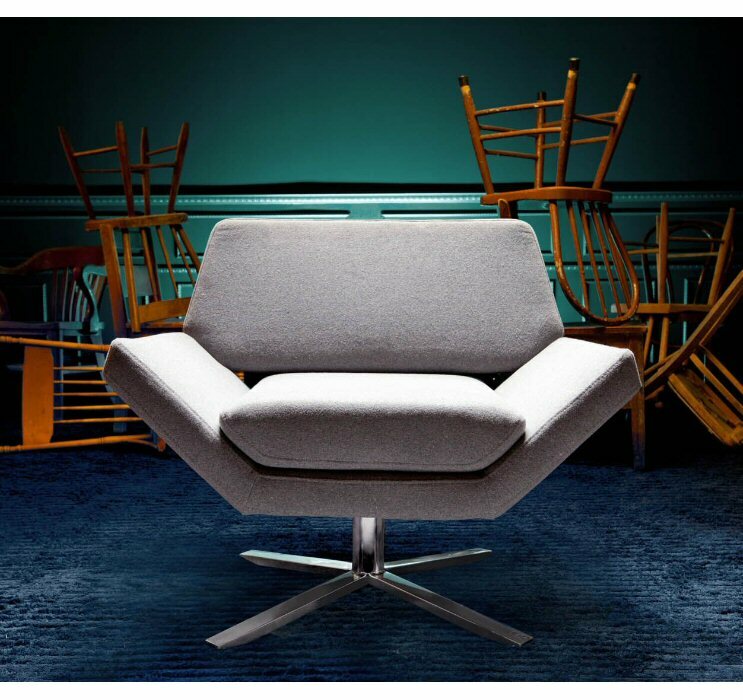 The Sly's striking modern aesthetic is suitable for a variety of spaces both commercial and private.